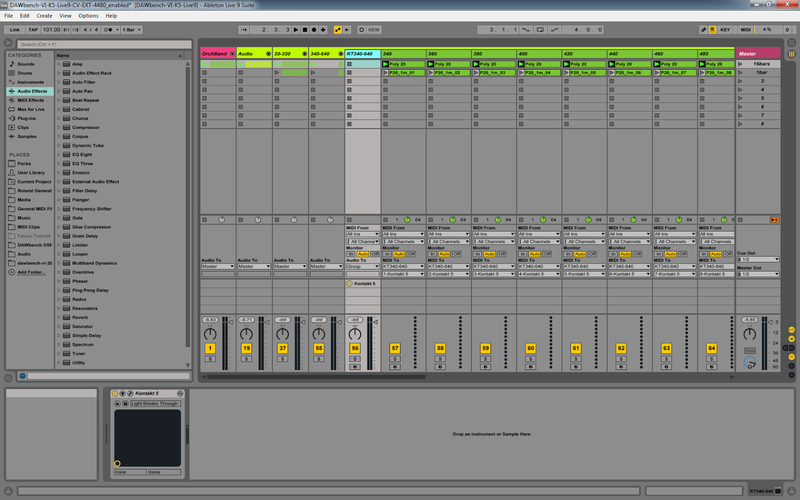 I may never fully understand my love for audio interfaces. At the end of the day they're just devices that do a better job of recording and playing back music than the built-in audio of most computers, but I almost spend more time experimenting with and writing about them than I do using them to make music. 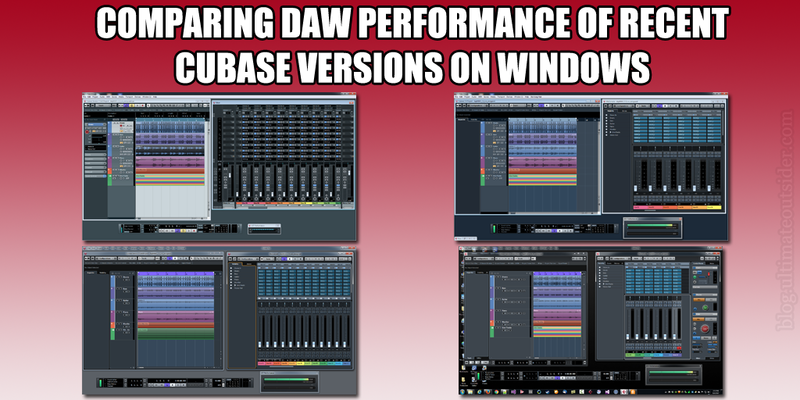 I have done interface performance tests several times before, but that was all on Windows 7 (and mostly on a now-10-year-old DAW PC), so I was recently curious how well some of today's USB audio interfaces perform on a newer computer with the latest version of Windows. 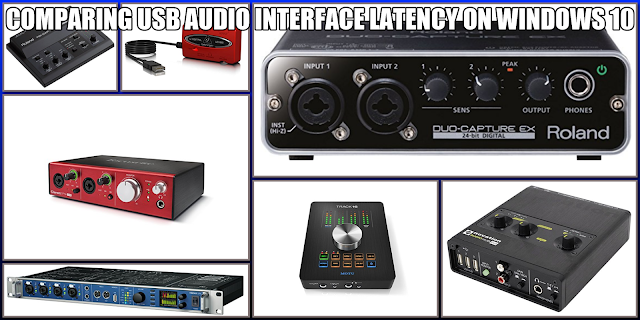 Audio interfaces are audio streaming devices, and on modern operating systems all streaming is "buffered" or "packeted." Rather than truly sending a constant binary stream of audio data, your computer bundles up tiny chunks of audio into separate data buffers that are reassembled at the destination end of the stream. This buffering introduces some amount of latency; that is, the fact that the audio data is buffered means that there is a small amount of built-in delay between when the audio data is first transmitted by one device (an audio interface) and received by another (your computer). There is some amount of latency in both an interface's input and output audio path, and round-trip latency (RTL) is the combination of both of those times. 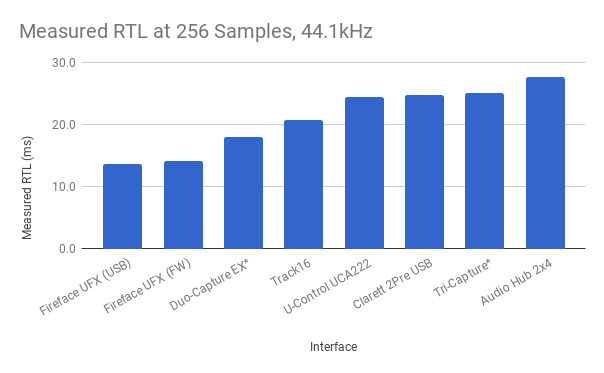 RTL is the metric I tested for: What is the total amount of time an interface takes to send and receive audio given certain settings? A latency measurement is only meaningful if you know two other values: Sample Rate and Buffer Size. The sample rate is the number of samples per second the audio stream is encoded at, and the buffer size is the number of individual samples included in each streaming buffer. When you record at high sample rates, your computer processes more audio data, which usually requires larger sample buffers in order to handle audio as reliably as at lower sample rates. 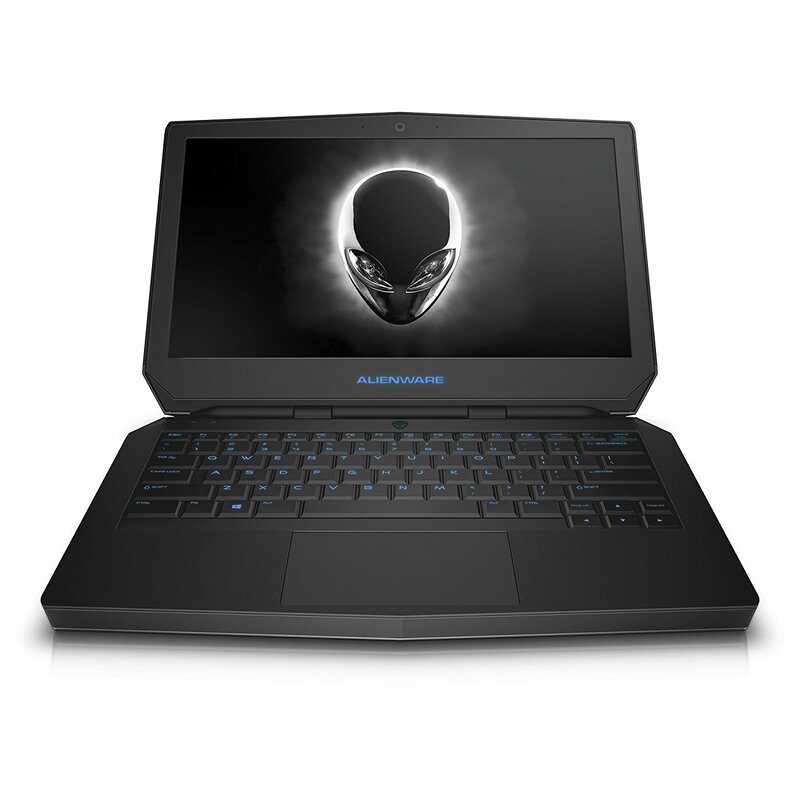 The buffer provides protection against glitches (pops and drop-outs in the audio stream), and the harder your computer is working, generally the bigger the buffer you need for glitch-free audio. The trade-off (and the reason we're studying this at all) is that too big of a buffer at a given sample rate can result in such a great delay that it can become difficult or impossible for a musician to keep in time with the rest of the music while attempting to sing or record. 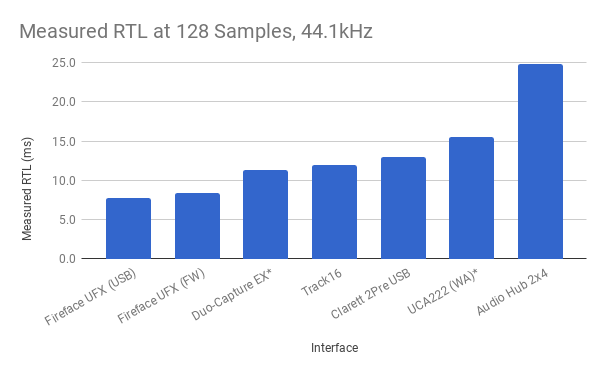 When shopping for audio interfaces, it's good to know which devices offer you the lowest reliable round-trip latencies at given sample rates and buffer sizes. Not all interfaces perform alike. There are many factors that contribute to interface performance, but the most important appears to be driver quality. A driver written for a specific device with efficiency and optimization in mind can significantly outperform a less optimized driver on similar hardware. 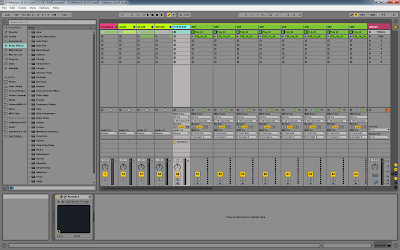 For my tests, I used a free tool called RTL Utility, by Oblique Audio. With this tool, you patch your audio interface's outputs to its own inputs, forming an audio loop, and measure the time it takes for a full output->input round trip at a given sample rate/buffer size. I have bought and sold many interfaces over the years. These are the ones that I still own and used for these tests. 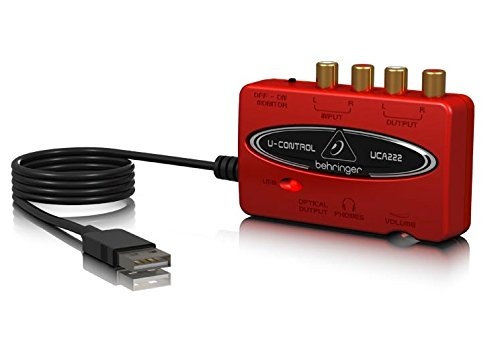 The U-Control UCA222 is a very low-cost interface with unbalanced RCA-style analog connectors that's designed more for consumer audio applications than for music production. I bought one so my wife could create digital recordings of her old cassette tapes. Like most Behringer interfaces, the UCA222 does not require any special drivers or software; all modern versions of Windows recognize it as an audio recording/playback device. 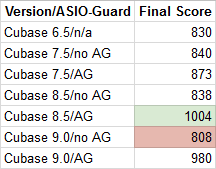 This also means, however, that there is no native ASIO driver for the interface, so I conducted my tests in "Windows Audio" mode for this device only. 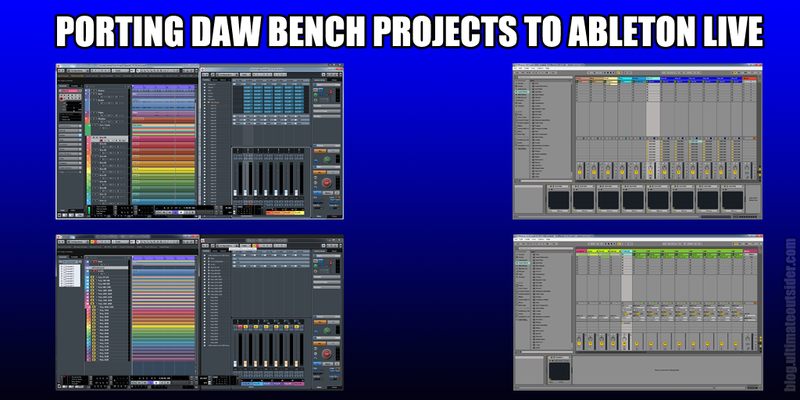 The default Windows audio drivers also didn't export all of the traditional "powers of two" sample buffer sizes, so for some tests I had to pick the closest available buffer size for comparison. 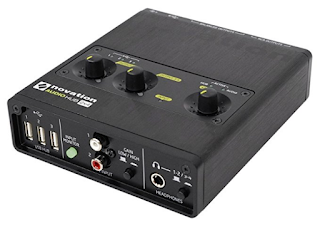 Despite its low cost, this little interface includes a couple nice features like a physical direct monitor switch and an optical S/PDIF port for digital output. The Clarett 2Pre USB is a desktop interface with high-quality preamps and sophisticated routing/mixing technology. Mine serves as an external DAC for a computer I mostly use for multimedia purposes. 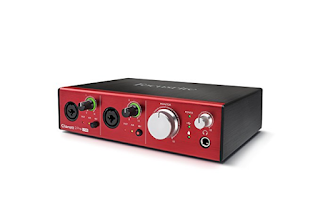 While the original Clarett 2Pre was a Thunderbolt-only device. 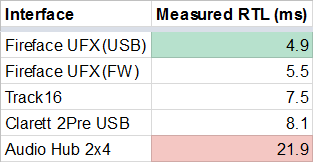 The Clarett 2Pre USB is USB 2.0-only, although its connector is the small USB-C type, normally associated with newer standards. It includes the required USB cables, which is good, considering I did not already own any USB-C cables. From what I've read, this device's USB implementation is the same as what's used in Focusrite's "2nd Generation" Scarlett line of interfaces. 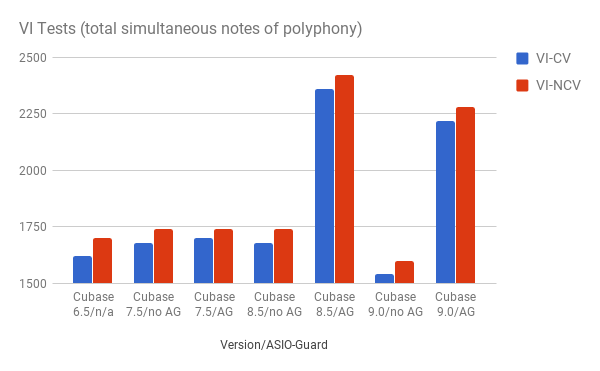 While most ASIO Windows drivers offer sample buffer sizes in powers of 2 (64 samples, 128 samples, 256 samples, etc), the Focusrite drivers strangely offer dozens and dozens of selectable sample buffers. 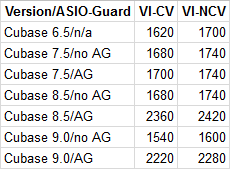 Luckily, the common power-of-2 values are among the offered values. The Track16 is a small desktop interface that pushes most of its I/O connections out to a giant proprietary octopus of a breakout cable. On hot summer days, I choose to use this device with headphones rather than powering up my full production rig, which generates a ton of heat. With ADAT, MIDI, and complex mixing/routing software, this device is a strong competitor with the Clarett 2Pre in terms of flexibility and feature set. 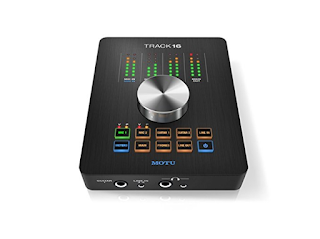 The Audio Hub 2x4 is a 3-port powered USB hub with Focusrite Scarlett audio interface technology inside. I frequently use this device for recording/sampling audio sound sources, and I use its USB ports to host eLicenser/iLok dongles. The audio interface portion of this device is based on Focusrite's "1st Generation" USB interface technology, which gives us a chance to compare the improvements Focusrite has made with the 2nd generation drivers. While the Audio Hub sports a pair of balanced main outputs, it only has unbalanced RCA-style inputs, so I had to use different audio cables when testing it from the ones I used with the other interfaces. This device is also a little unusual in that it only offers a low/high-gain toggle switch on the inputs rather than adjustable gain pots. The Fireface UFX is a prosumer legend, offering tons of analog and digital I/O with top-tier performance, reliability, and flexibility in a single rack space form factor. 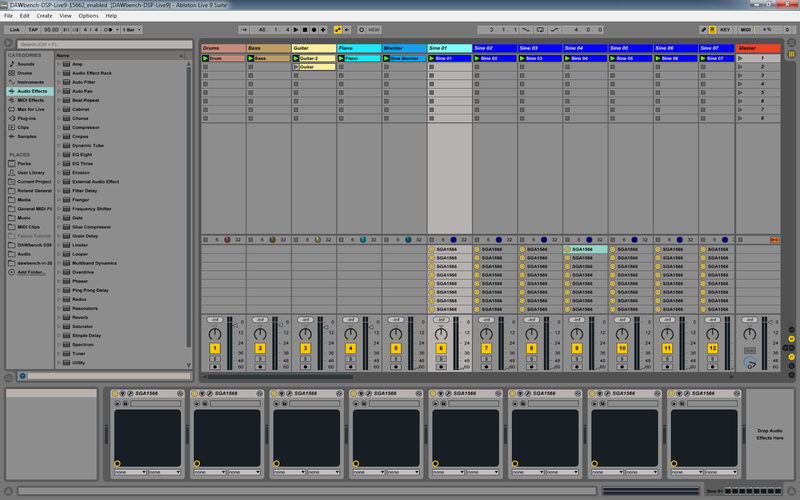 This is my primary interface for writing and recording. I own the first generation UFX, which has both USB 2 and Firewire support. I typically use it as a Firewire device, just to avoid possible USB contention in my studio. 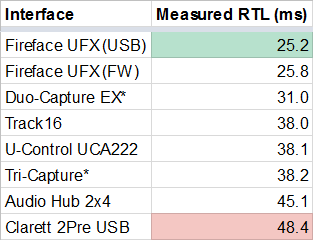 In recent years, RME has released an updated model, called the Fireface UFX+, which includes USB 3 and Thunderbolt support, and the Fireface UFX II, which is USB 2 only. RME's drivers are a little bit odd in that they don't appear to advertise more than one sample buffer size at a time like most others do. In order to perform the latency tests at different buffer sizes I had to use the RME control panel to choose the new buffer size then "reload" the driver in the test tool before performing each round of tests. Since this is the only interface I currently own that supports two different data buses, I tested it both as a Firewire and as a USB device. The Duo-Capture EX is one of my favorite entry-level interfaces, just because it packs a lot of features into a small, reliable and affordable package. I don't actively use my Duo-Capture these days, but I keep it around for testing and ad-hoc stuff. The Roland drivers are kind of weird in that they do not use powers-of-two buffer sizes, and their configuration control panel also has a number of non-standard options and metrics. I had to choose the nearest approximate buffer size for the comparative tests. Also, for all control panel settings other than buffer size, I just left them at their factory defaults. 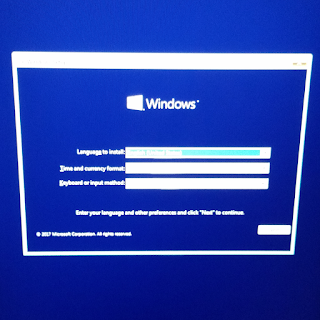 On Windows 10, the Duo-Capture driver installs automatically (no separate discs or downloads from Roland required), however I experienced a lot of driver instability on my first round of latency tests with this interface after the drivers installed (some tests straight-up failed while others took significantly longer or shorter to complete than expected). 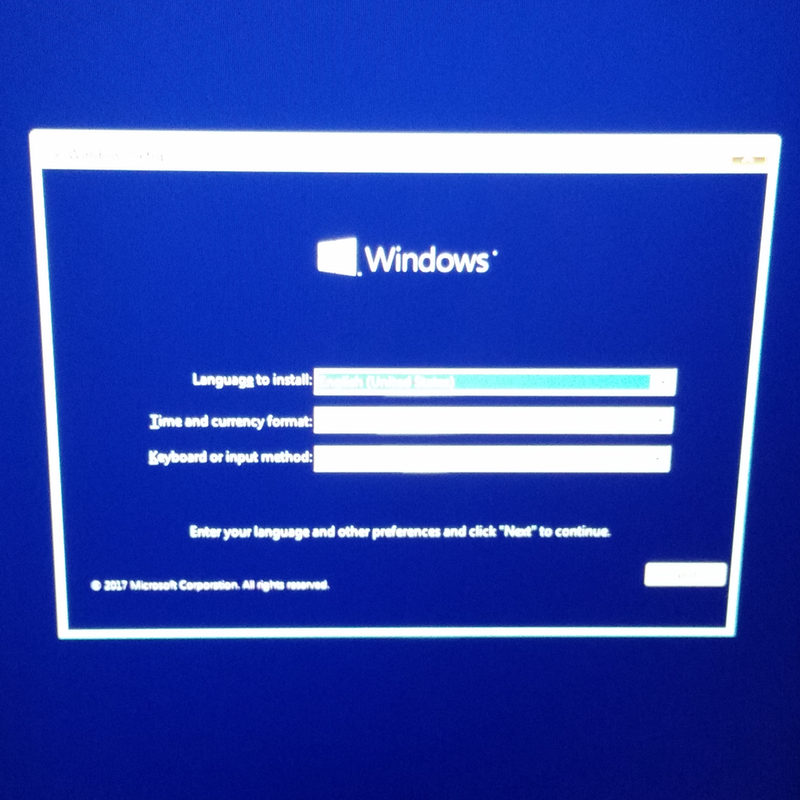 I rebooted my computer and re-tested the interface and didn't experience any instability at all, so that appeared to be a temporary issue. The Tri-Capture is an odd little device with an interesting combination of features at a low price. 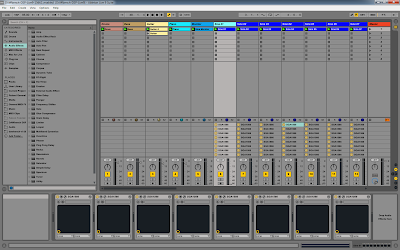 I have used this for recording/sampling from consumer audio devices. 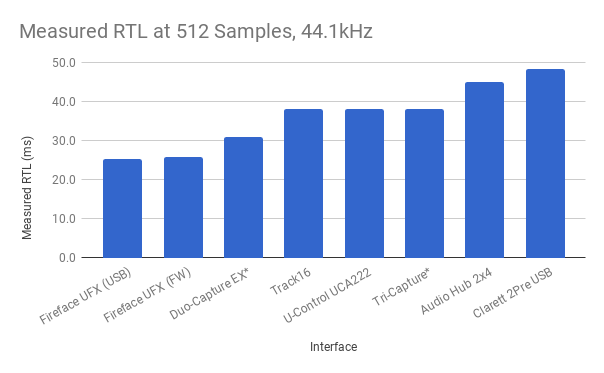 Like with the Duo-Capture EX, the Tri-Capture's driver has some unusual options and non-standard sample buffer sizes. I note the differences in the test results. In order to keep the playing field level, I used the same USB and audio cables for all tests, where possible. (Some devices had special I/O connectors that required different cables.) 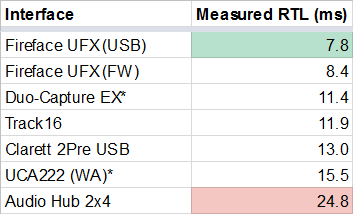 I ran multiple tests at each sample buffer size for each device and selected the best/lowest test results from each device/buffer size combination. In cases where the test results seemed surprising or unexpected, I re-ran all tests on the device in question to ensure results were consistent and reproducible. For the Duo-Capture EX I had to use 144, 288, and 576 samples in the 128, 256, and 512 samples tests, respectively. This put that interface at a slight disadvantage for each test. For the Tri-Capture I had to use 288 and 576 samples in the 256 and 512 samples tests, respectively. This also put that interface at a slight disadvantage for each test. 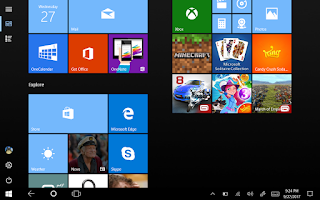 The drivers of some of the devices did not offer as many buffer size options as others. 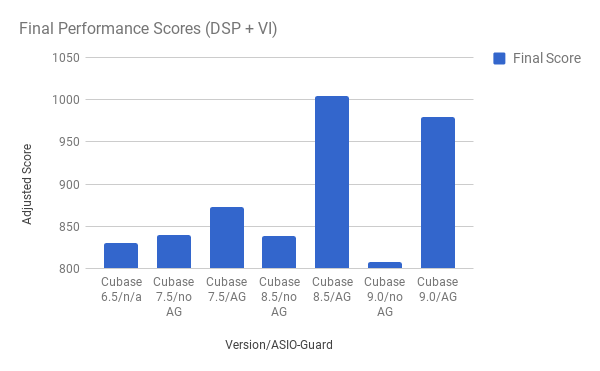 This is why the 64-samples and 128-samples tests don't include scores for all eight interfaces. 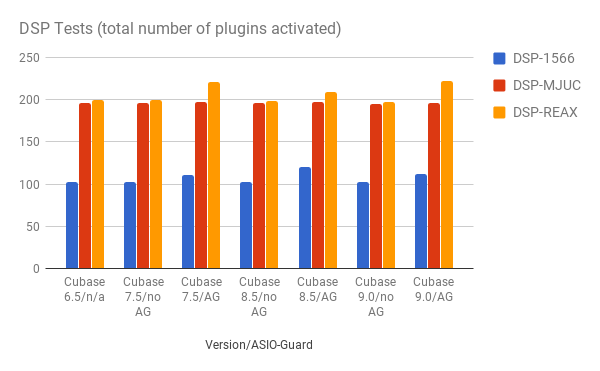 The interfaces that didn't support all testable sample rates were the Duo Capture EX, the Tri-Capture, and the UCA222. 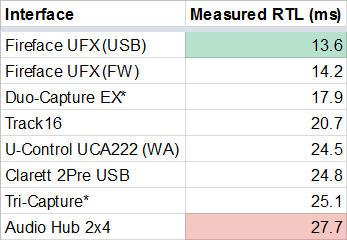 Each test lists two scores for the RME Fireface UFX: One as a USB device, and one as a Firewire device. The U-Control UCA222 was the only interface that didn't have ASIO drivers, so I tested it as a Windows Audio device. 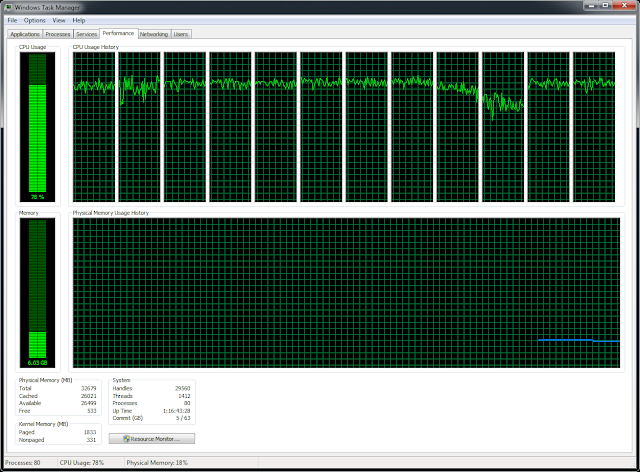 All test results are reported as round-trip time in milliseconds. Lower scores/shorter bars are better. 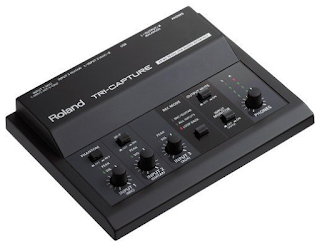 Even though its larger-than-average sample buffer sizes put it at a slight disadvantage in every test, the Roland Duo-Capture EX fared rather well, capturing the third-best score in every round of tests where it competed. Despite having very similar-seeming driver and control panel to the Duo-Capture EX, the Tri-Capture lagged behind the other Roland interface in both tests where it competed. 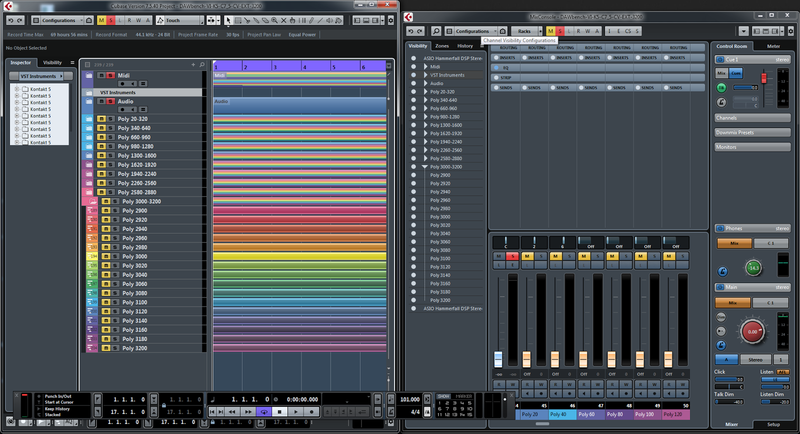 ...which was the odd performance results of the Clarett 2Pre USB. 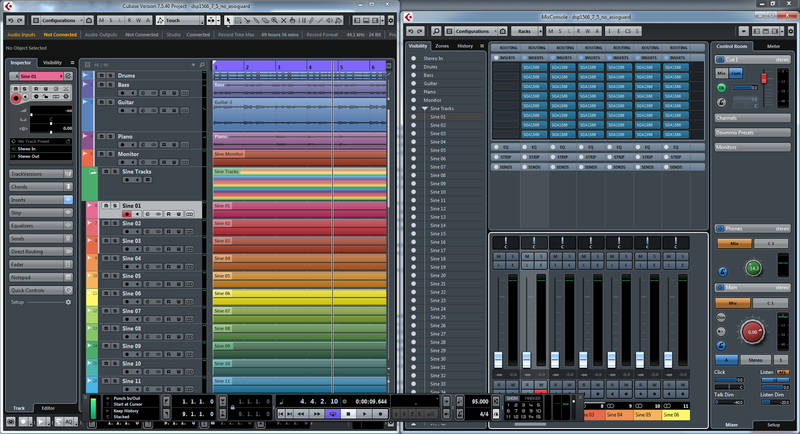 In the 64-samples and 128-samples tests the Clarett performs reasonably well, at least when compared to the Audio Hub. (In the 64-sample test the Clarett's round-trip latency is almost one third of the Audio Hub's score.) 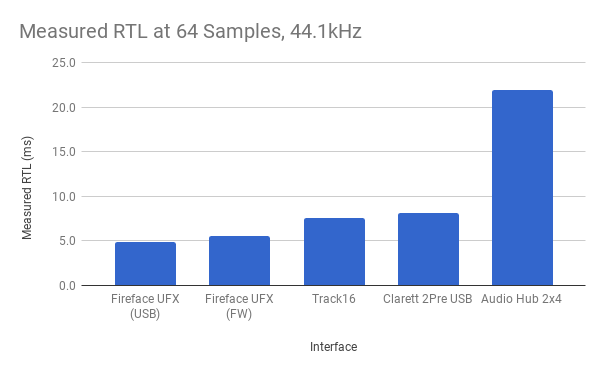 However as the sample buffer sizes increased, so did the Clarett's relative latency, gradually closing- AND THEN PASSING- the gap with the Audio Hub, making the Clarett the worst-performing interface in the 512-samples tests. 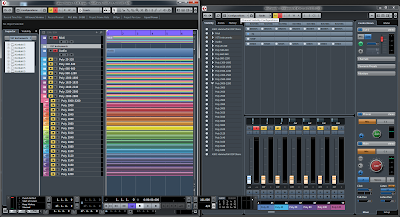 When I was reviewing the test results before I began writing this article, I was so surprised by the Clarett's scores that I re-connected it to my test system and ran all of the tests on the Clarett again- only to find that they were the same. In both rounds of tests on this device, its round-trip latency grew progressively worse (relative to other interfaces) as the sample buffer size increased. This may point to some inefficient code in the current driver that is exacerbated as sample buffers grow. In 2016 Nintendo released the NES Classic Edition, an adorable miniature replica of the Nintendo Entertainment System that connects to modern television sets and plays 30 iconic NES games. With an asking price of a mere $60 USD, the thing became a must-have among classic gaming enthusiasts- but Nintendo grossly underestimated demand. 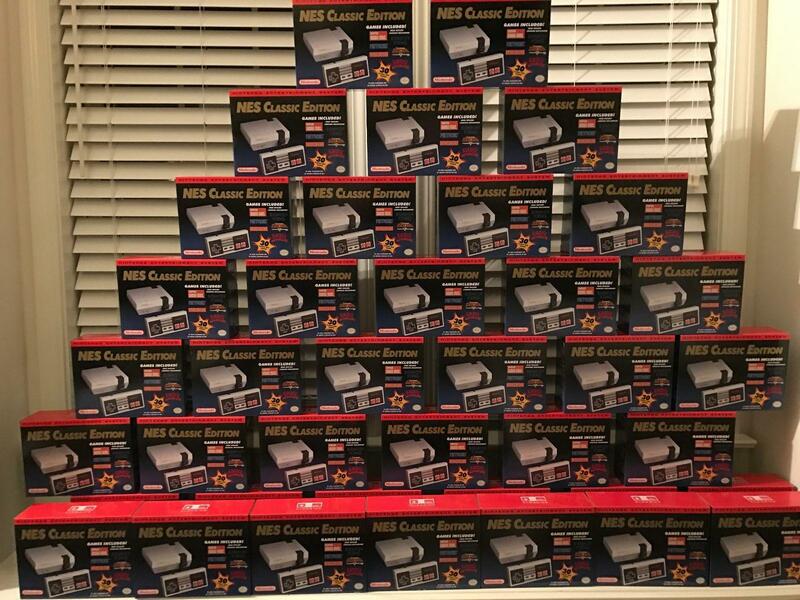 Any units that made it to store shelves sold out instantly (usually to scalpers who resold the consoles online at three times the cost), making Nintendo's most popular console in years their hardest to obtain at anything approaching a reasonable price. Nintendo then applied gasoline to the fire by discontinuing the NES Classic Edition altogether in early 2017. 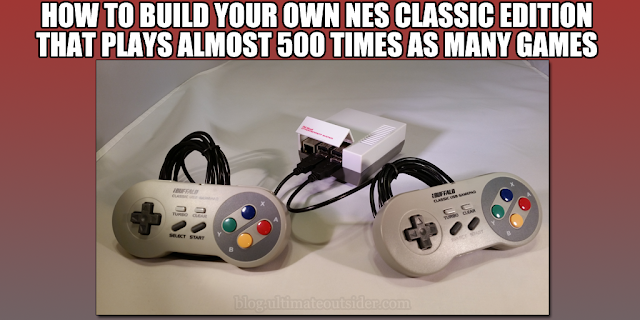 Somewhat heartbroken by the reality that I would never get my hands on one of Nintendo's mini consoles (since I refuse to give scalpers my money), I started looking for alternatives- and I quickly discovered that for not much more money than the original retail price of the NES Classic Edition I could build my own mini NES that played not 30 but 791 NES games- and could also play over 14000 additional games from 37 platforms other than the original Nintendo Entertainment System. So I built one, and now I'm gonna show you how to build your own. Our ability to make super-cheap purpose-built classic gaming devices is thanks to the Raspberry Pi Foundation, a non-profit organization who developed a computing platform with the goal of making it inexpensive and easy to learn how to make digital products. 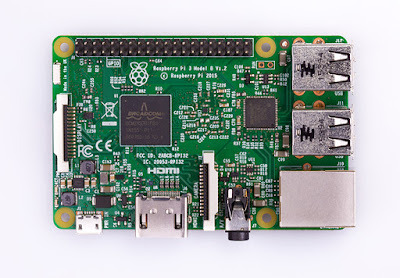 The Raspberry Pi is a single-board computer that runs a (usually Linux-based) custom operating system, often with a specific purpose. In our case, we'll be using a gaming environment called RetroPie that runs on top of a special Linux build created for the Raspberry Pi. 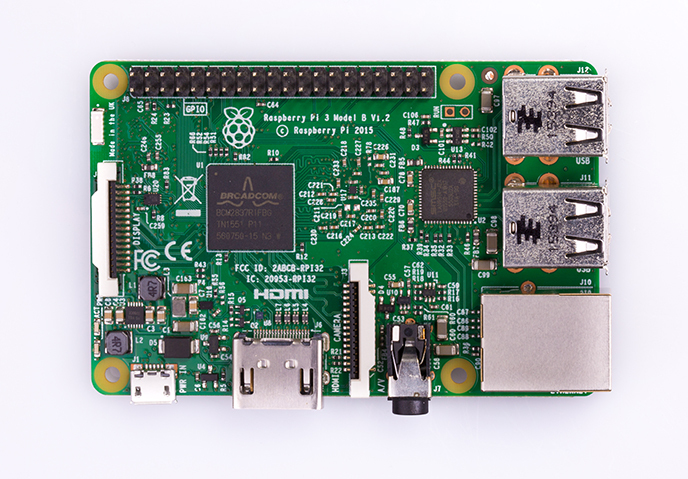 The Raspberry Pi 3 is the computer itself. It's a single board that includes a processor, RAM, audio/video support, and WiFi/Ethernet networking. Raspbian is a Linux-based operating system that supports the Raspberry Pi hardware. 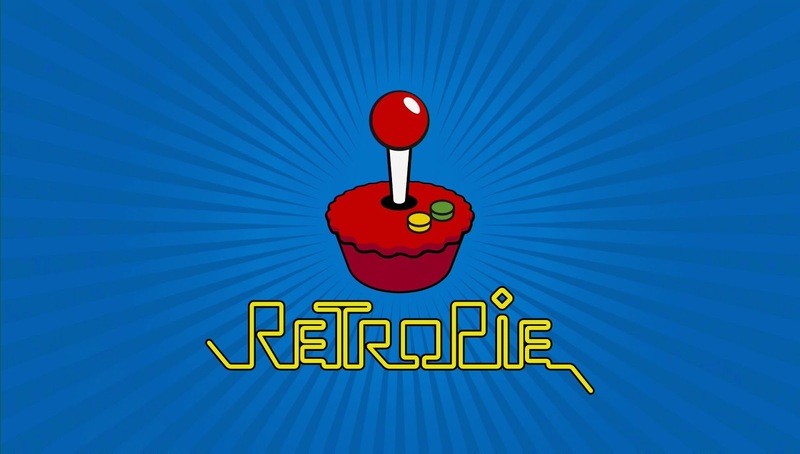 RetroPie is a collection of hardware emulators that runs on top of the Raspbian operating system. EmulationStation is an emulator "front-end" that RetroPie uses to provide an attractive, unified interface for browsing and launching games that you can navigate entirely with your game controllers. We will be using a pre-built RetroPie image simply called "Nacho's Image" that includes all of the above software in addition to the "ROMs" for literally thousands of classic video games. A television set with an available HDMI port. An HDMI cable for connecting the Pi to your TV (the Raspberry Pi has a standard full-sized HDMI connector). 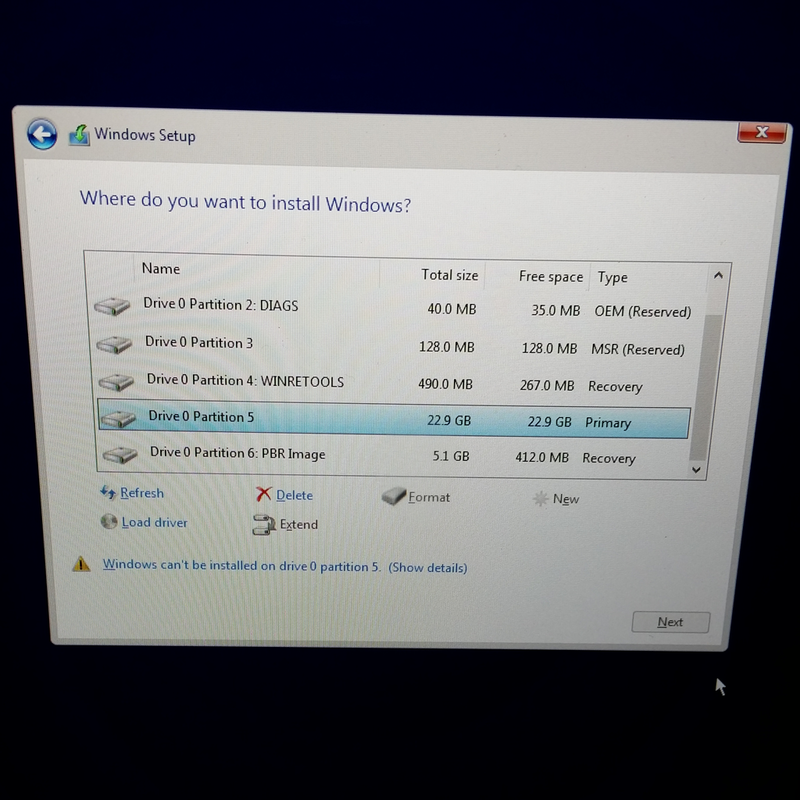 A computer running Windows, Linux, or Mac OS that can read microSD cards or SD cards (most microSD cards ship with a full-sized adapter). If your computer doesn't have any card reading ports, a USB 3 card reader or USB 2 card reader will do the trick. A very small Phillips-head screwdriver. At least 70GB free space on your computer for downloading images and tools. Buffalo iBuffalo Classic USB Gamepad ($19 USD per controller). These are nice, weighty USB gamepads that work for most of the games included in the RetroPie image. I have two of these, but for a less expensive option there is also the Classic SNES USB Controller 2-pack, which is a $17 USD for two controllers. These aren't as heavy feeling as the iBuffalo controllers, but they do work. In order to control games that work better with analog sticks, the system supports Xbox controllers and many others, as well. SanDisk Ultra 64GB microSDXC UHS-I Card with Adapter ($23 USD). The Raspberry Pi doesn't have any built-in storage. Instead it reads its operating system and files from connected microSD cards or USB drives. Having a fast microSD card is important because it affects the speed of your Raspberry Pi. A 64GB card is required for the specific RetroPie image I discuss later in this post, but you can get larger or smaller cards if you intend to use different images. Old Skool NES case for Raspberry Pi 3 ($20 USD). There are a number of cases you can get for your Raspberry Pi (including the "official" Pi case), but this one is the closest in appearance to the original NES. LoveRPi MicroUSB Push On Off Power Switch Cable for Raspberry Pi ($7 USD). The Raspberry Pi doesn't have a power button of its own. This cable sits between your power adapter and the Raspberry Pi, giving you a simple on/off toggle switch, which is much nicer than having to plug the Pi in every time you feel like using it. 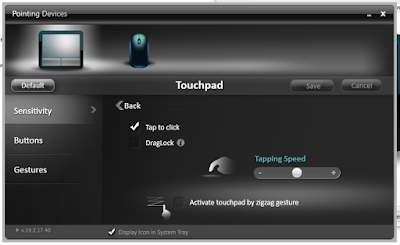 OPTIONAL: Logitech K830 Illuminated Living-Room Wireless Touchpad Keyboard for Internet-Connected TVs ($63 USD). 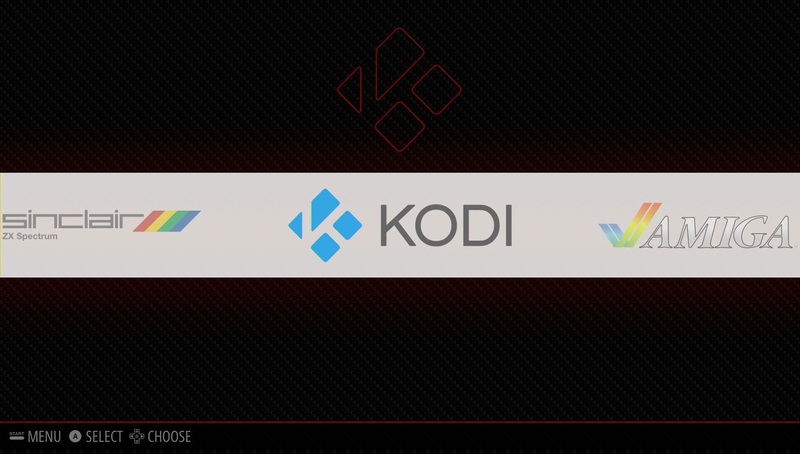 While not required for following these setup instructions or for playing most of the console and arcade games in the RetroPie image, some of the computer-based emulators do require keyboard and/or mouse input: ScummVM, Infocom, MS-DOS, for example. You also need at least a keyboard if you want to do any in-depth configuration of the underlying Raspbian operating system. This keyboard is great because it's wireless, has great rechargeable battery life, and has backlit keys. Logitech also makes a much less expensive keyboard (the K400) that is similar but uses AA batteries instead of built-in recharging, and lacks the backlit keys. Honestly any USB keyboard/mouse will do, but I really like the Logitech combo solutions, mainly because they're wireless and only take up one USB port. Bandai WonderSwan Color: 95 titles. Classic Arcade Games: 2158 titles. DAPHNE (Laserdisc Arcade Emulator): 16 titles. Infocom (text adventure emulator): 79 titles. NEC PC Engine (TurboGrafx-16): 303 titles. 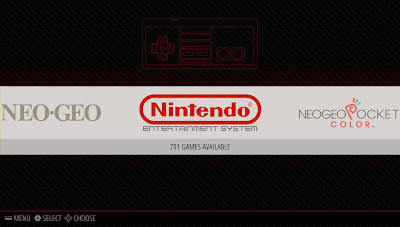 Nintendo Entertainment System (NES): 791 titles. Nintendo Game & Watch: 54 titles. Nintendo Game Boy: 490 titles. Nintendo Game Boy Advance: 1129 titles. Nintendo Game Boy Color: 528 titles. Nintendo Virtual Boy: 26 titles. Philips Videopac (Magnavox Odyssey): 52 titles. Scumm VM (adventure game emulator): 94 titles. Sega Game Gear: 249 titles. Sega Master System: 267 titles. Sega Mega Drive: 819 titles. Sinclair ZX Spectrum (Timex): 382 titles. 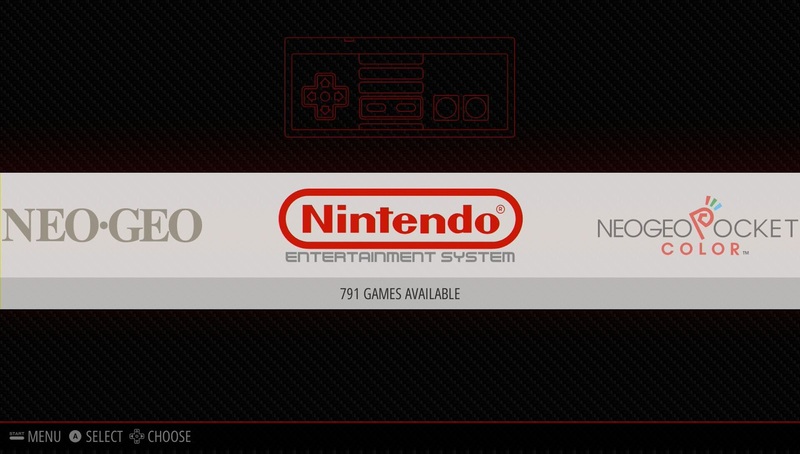 SNK Neo Geo: 155 titles. SNK Neo Geo Pocket: 49 titles. Super Nintendo Entertainment System (SNES): 786 titles. Vectrex (GCE/Milton Bradley): 21 titles. There is no single clear answer on whether it's strictly legal to share and/or use the classic game ROMs included in this image or available elsewhere on the internet. In the United States some of these game ROMs are covered by Fair Use doctrine in the sense that if you own the actual physical cartridge or arcade cabinet you're allowed to keep and use back-ups of those ROMs as you please. But at the end of the day, many of the companies that made these games don't exist anymore, and there is no way to legally purchase the majority of these games in the USA or anywhere else. Most of these titles are essentially abandonware. You can easily remove individual games you're not sure about from the image as needed. 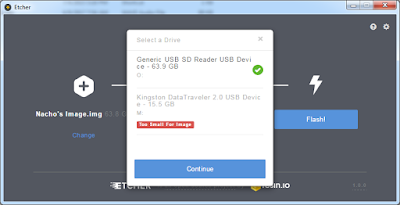 In order to download the Raspberry Pi image, you need a BitTorrent client that supports magnet links, and you then need a way to write the downloaded image to your microSD card. There are dozens of free torrent clients and image burning tools for all major operating systems. I will recommend some specific tools I've used on Windows and Ubuntu Linux. 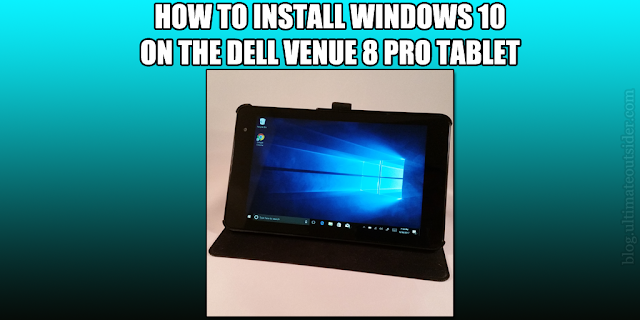 All of the utilities I use for these steps are free, and two of them are available for Windows, Mac OS, and Linux. My instructions assume you're using these tools. 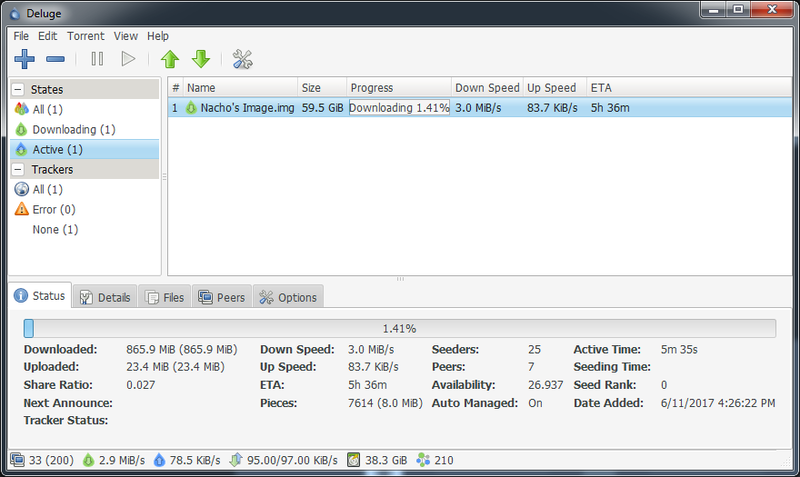 Deluge is a cross-platform BitTorrent client. 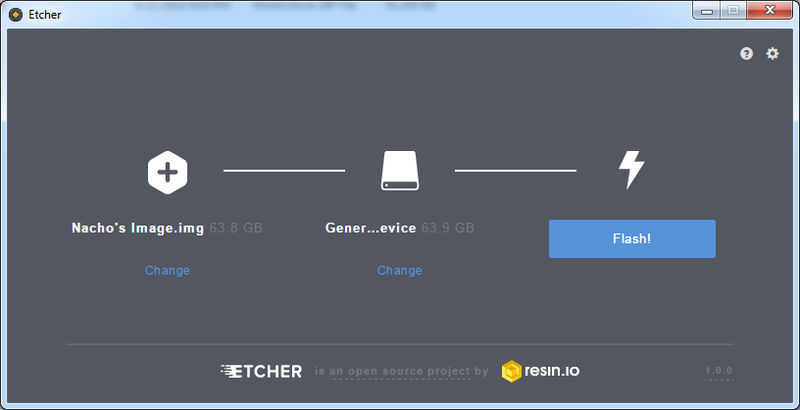 Etcher is a cross-platform tool that burns image files to SD cards. Note: The above link may appear on multiple lines in your browser, but you must copy the whole thing (so select both lines of text if it appears that way on your screen). Click the blue + icon and then click the URL button in the Add Torrents screen. If the magnet link is already in your clipboard it should pre-populate in the "URL" box. If there is no link listed next to URL, just press CTRL+V to paste the link there, and then click OK.
Click Add to close the Add Torrents dialog. The program should now indicate that you're downloading a file called "Nacho's Image.img". Wait for the download to complete. Note: This could take several hours! Try to avoid quitting Deluge until the image is completely downloaded, but Deluge will resume the download the next time you run it if you ever have to stop the download while it's in progress. You will know that the download is complete when its status changes from "Downloading" to "Seeding." Insert the microSD card into your computer's card reader. 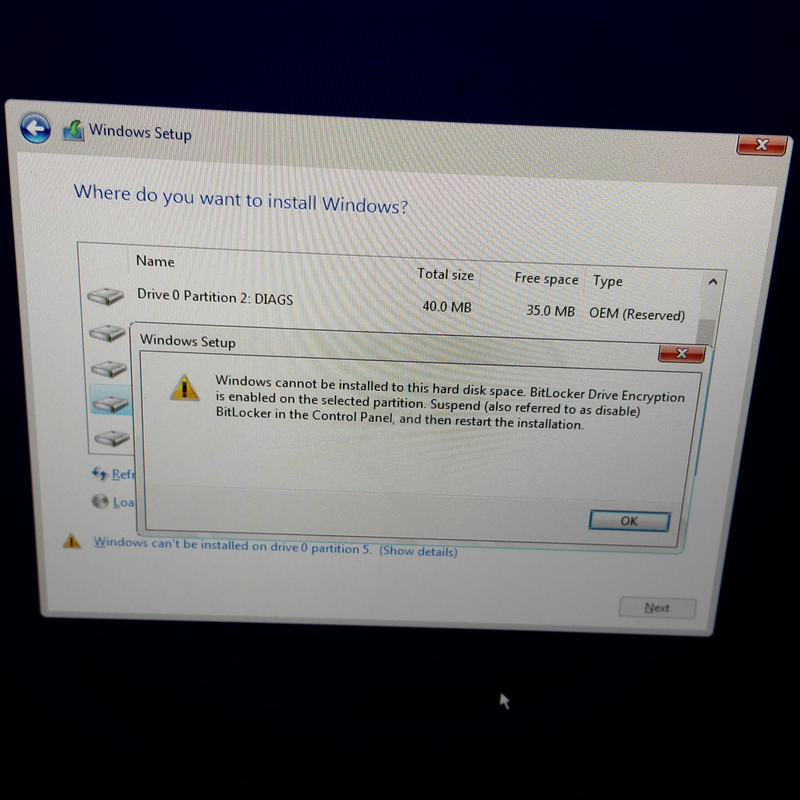 Ignore any prompts to format the drive if they appear. Launch Etcher and click Select image, and then browse to the directory where Deluge downloaded the image (it defaults to the "Downloads" directory in your user profile, unless you changed this location in Deluge's Edit > Preferences screen). Select the file "Nacho's Image.img" and then click Open. 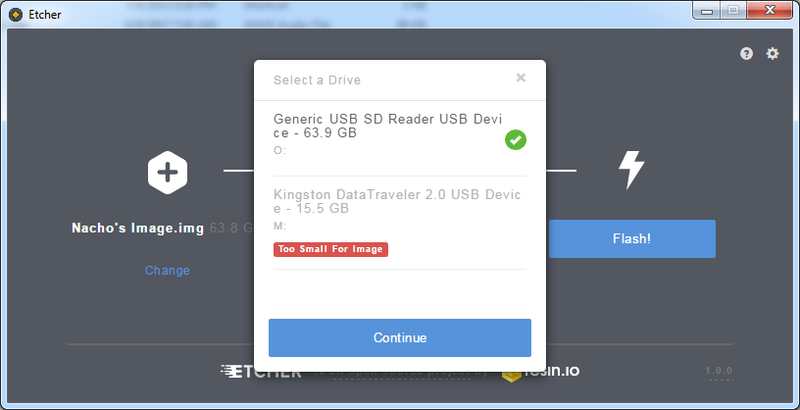 Click the Select drive button in Etcher. 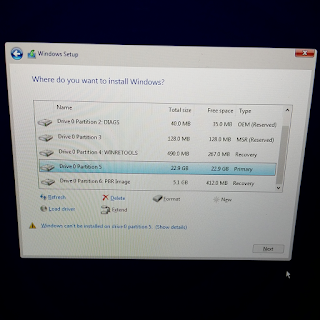 If the program detects more than one potential external drive it will give you a choice. Be sure to choose the card reader containing your 64GB microSD card, and then click Continue. Once the image and target drive are selected, click Flash! Depending on the speed of your card reader, your computer, and even the card itself, burning the image can take anywhere from a few minutes to a couple of hours. Safely eject the drive from your card reader. This image is formatted with the Microsoft FAT32 file system, which is readable by all major operating systems, in case you ever need to add or remove games. Hardware setup is the fastest part of this whole project. To reduce the chance of damaging your Pi via electrostatic discharge, try to work on a clean, flat surface in an area with a hard floor instead of carpet. Place the Raspberry Pi board between the upper and lower halves of the case, making sure to align the screw holes that fasten the halves together with the holes on the Pi board, and also making sure the ports are facing the correct directions. - Ethernet and USB ports face the front "cartridge slot" of the Old Skool NES case. - The left side of the case is where power, HDMI, and audio go. - The rear of the case is the location of the microSD slot. Carefully fasten the two halves of the case together with the included screws, using a very small Phillips-head screwdriver. Do not over-screw. Connect the Pi's HDMI connector to an available HDMI port on your TV or HDMI switcher. Firmly insert the formatted microSD card in the slot at the rear of the device. The card will only go one way (note that the Pi's card reader is technically at the underside of the board, so the pins of the card will be facing up when you insert the card). Turn on your TV set and select the appropriate HDMI input. Note: Don't plug any game controllers into your Pi yet! We'll do that in the next section. Now that you've got your image burned and your device assembled you're almost ready to play some games. 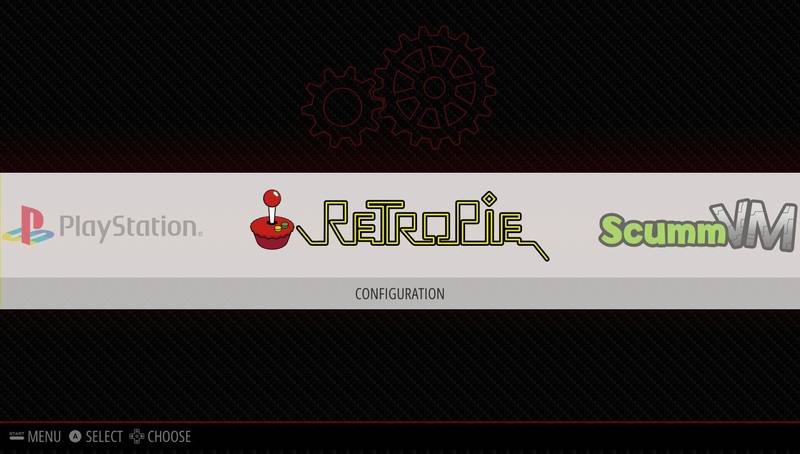 After the intro video plays, the RetroPie image drops you into the EmulationStation top menu. The first thing you'll want to do here is connect one of your USB game controllers. If EmulationStation doesn't recognize your controller, it will prompt you to configure it. You should see a screen like this. 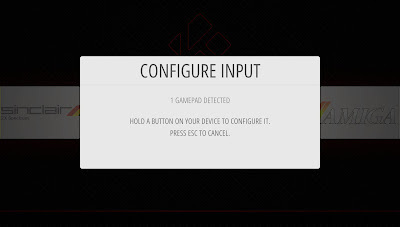 Press any button on the controller that you wish to configure. If you don't get this screen when you plug in the controller, your controller might already be at least partially recognized. You can press Start on your controller to bring up EmulationStation's main menu, then use the controller's D-pad (plus pad) to navigate down to Configure Input, and then press A to display this screen. 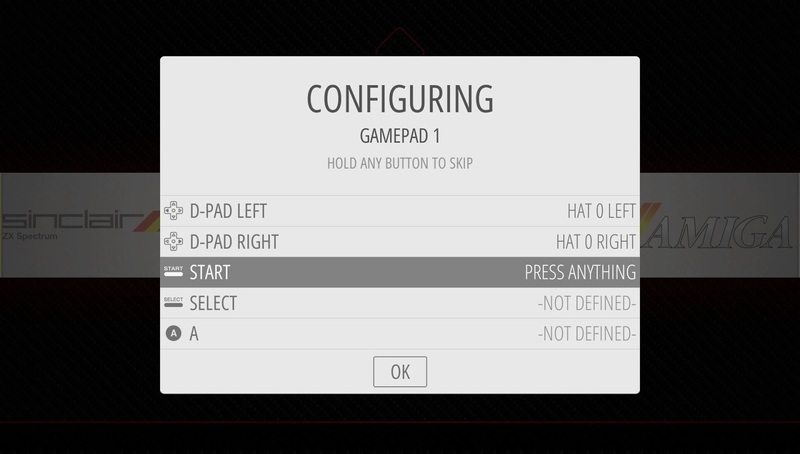 Once you have selected a controller to configure, the "Configuring" screen appears. 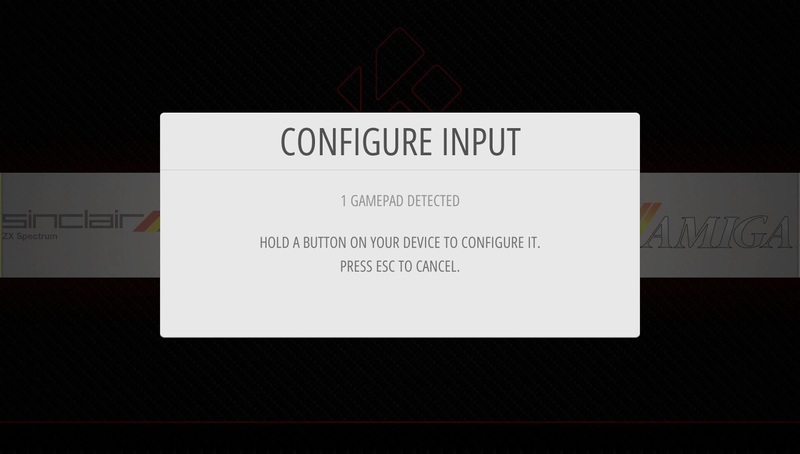 This screen prompts you to press buttons or move controls in the requested directions so that the emulators know how to map the in-game controls to your individual controllers. Press the corresponding physical controls on your controller as requested, and repeat the process until you reach the end of the list. Sometimes you might be prompted to use a button or control that isn't physically present on your current controller. In this case, just press and hold down ANY button on your controller until the screen skips to the next control. You won't be able to exit the configuration wizard until you get to the end of the list. Once you've reached the end of the list and OK is selected, press A on your controller to save the settings for the current controller. Repeat the above steps for any of the controllers you plan to use. You can re-configure your controllers at any time by pressing Start on your controller and choosing Configure Input from the main menu. 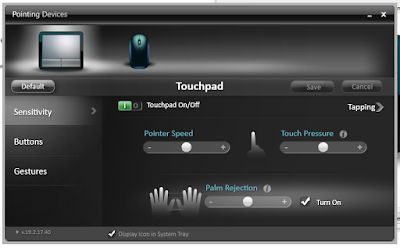 EmulationStation is designed to be fully controllable with your game controller. You only need a keyboard (and sometimes a mouse) for specific emulators, or for doing Raspbian or RetroPie configuration. Move left or right with your D-Pad to choose which platform/console emulator you would like to use. 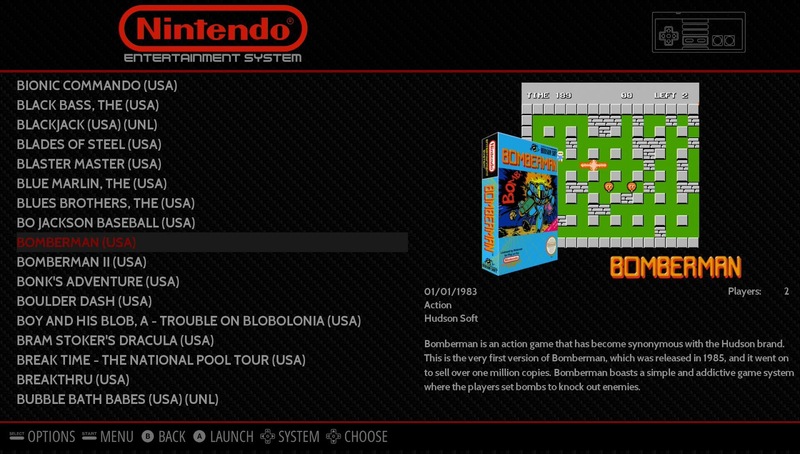 Press A to see the list of games available for the selected system. Move down or up with your D-Pad to select a game. If you hold the Up or Down control for a while, the list will scroll very quickly, allowing you to navigate through very long lists. Once you have selected a game to play, press A. 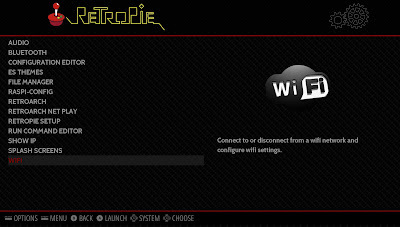 To exit any game and return to the EmulationStation menu, press START+SELECT on your controller at the same time. From the game list of any given platform, you can move left or right with the D-pad to cycle through the game lists of other platforms, or press B to return to the main EmulationStation screen. To gracefully shut your Raspberry Pi down you can press Start on your controller to bring up the main menu and then use the D-pad to select Quit, and press A. 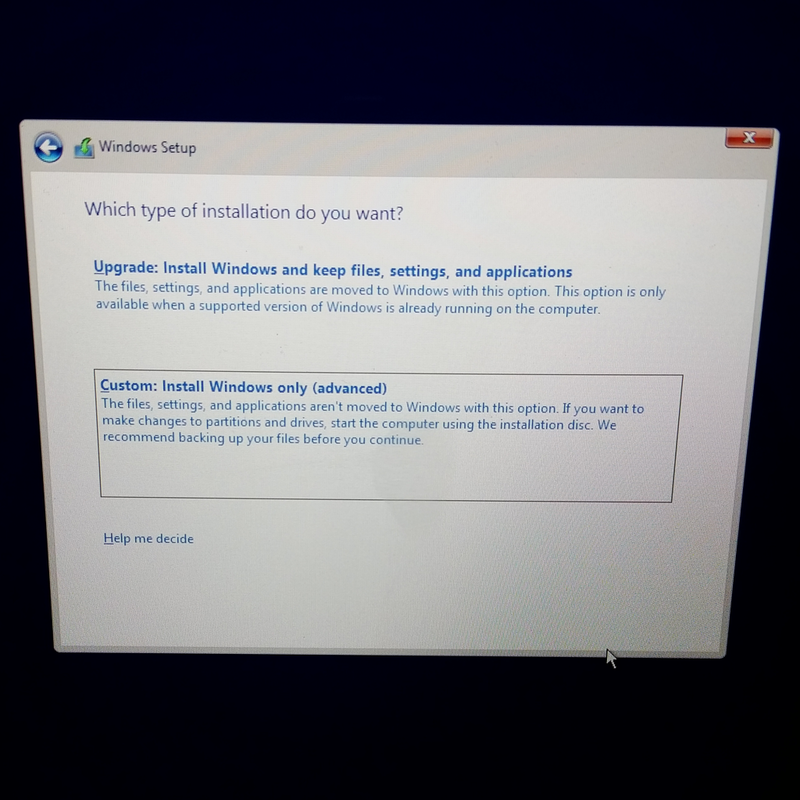 Then on the Quit screen, select Shutdown System and press A. Note: Some of these steps require that you have a USB keyboard connected to your Pi! The first time you connect your Raspberry Pi to your television and start up a new image, it can take a few minutes for the device to completely configure its video and audio settings. So you might notice some flickering video or choppy audio for the first few minutes that you use the system. This should clear up automatically after a short while. If it doesn't clear up, you might need to change some settings in the RetroPie configuration screen. First off, you should always make sure your TV is powered on and has the right HDMI port selected before powering on your Raspberry Pi. 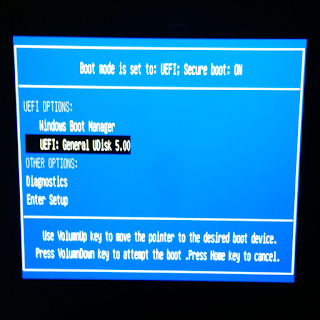 (If you turn on the TV or select the input port after the Pi has booted, the Pi might not detect your TV's audio connection.) Try doing this first (rebooting Pi after the TV is already on and selected) before continuing with the next steps. The default settings of this image support most HDMI TVs, however some televisions use a different way of "presenting" their audio inputs to connected devices in a way the default RetroPie settings don't recognize. 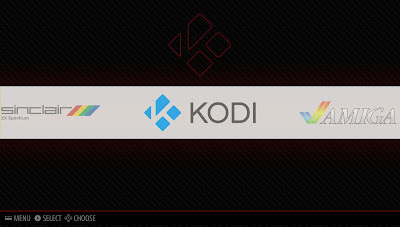 I have had to make the following change in order to get RetroPie to work on one of the TVs in my house. With the Raspberry Pi powered on, exit EmulationStation by pressing F4 on your keyboard or bringing up the Main Menu and choosing Quit > Quit EmulationStation. Press CTRL+X, and then press y to save the change. Some games might require a different controller- for example if your controller has no analog sticks but the game was designed for analog controls, you won't have an ideal experience. Try switching out controllers if you suspect this is the case. I haven't figured out what's required to properly control Nintendo DS games, for example. Most of those games assume you have a stylus for touch control, but I don't know how that translates to the emulator included on RetroPie. If you know the answer, please leave a comment! 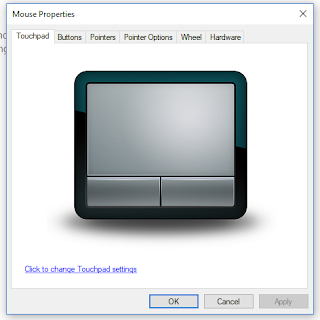 Some games/emulators require a keyboard or mouse. For example, all of these emulators assume you have a keyboard connected: MS-DOS, ScummVM, Infocom, VideoPac. Sometimes the default button mappings might not be what you expect for a specific game. Try using X/Y instead of A/B, for example. Many of the games and emulators have configurable mappings, although the details of this are out of scope for this post. But you might look into custom mappings if you don't like the default control settings. If you have multiple controllers connected to your Pi, all of them can navigate the main menus but usually only one of them is "Player 1" and another is "Player 2", etc. Make sure you're holding the correct controller if the controller doesn't seem to respond during gameplay. Some games just don't work right on the Raspberry Pi, or with any current emulator. Try doing a web search for the specific game to see if other Pi users have gotten it to work. 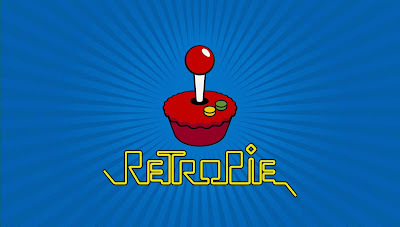 The RetroPie image you downloaded is customizable. If you find any games that you confirm just don't work, you can remove them and their associated metadata from your microSD card to free up space for other games. If you'd like to skip the video that plays by default every time this image boots up, you can change this in the RetroPie settings. Note that these settings require a USB keyboard attached to your Pi. The RetroPie-Setup Script screen appears. You can use the arrow, TAB, and ENTER keys to navigate menus in this program, and you can also use hotkeys (any letter highlighted in red) where available to select options. On the first screen, select the Configuration / tools option. On the Choose an option screen, use your arrow keys to scroll down to the splashscreen - Configure Splashscreen option and press ENTER. After making your selection, you should see a message that says "Splashscreen set to" and the path of the file you selected. Press ENTER. Exit the RetroPie Setup program. 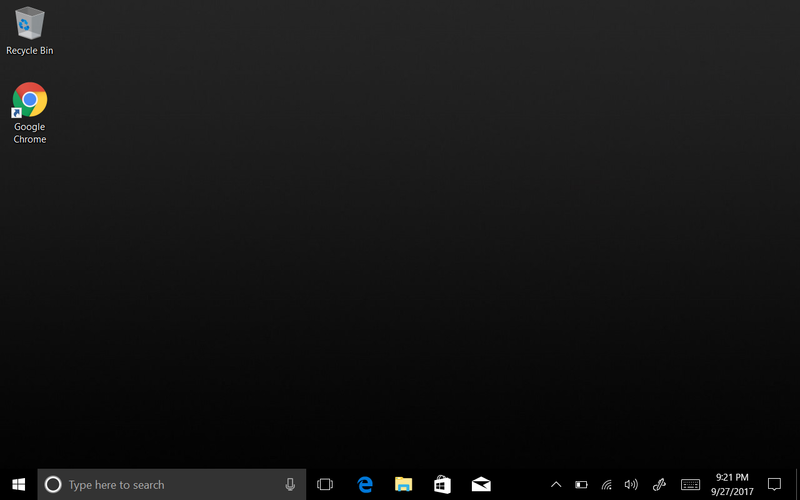 You can do this by pressing Esc or using a Cancel option, where available. 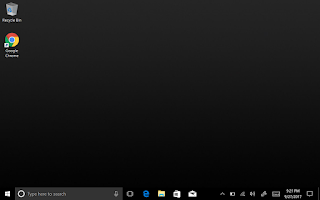 While you do not need to connect your Pi to a network in order to use the preconfigured games in this image, you might want to enable Wi-Fi networking in order to remotely administer and customize your device. There is already a pretty good post about how to do this at the RetroPie site. Although recent versions of the Raspian OS disable SSH access by default, I have noticed that it is enabled in the RetroPie image that I use. If you never connect your Pi to a network, this isn't a big deal, but if your device is connected to either your Ethernet or Wi-Fi networks, this is a potential security risk. To protect yourself, you should either disable the SSH feature if you're not going to use it or change the device's default password so your device can't be easily overtaken by a scripted attacker. 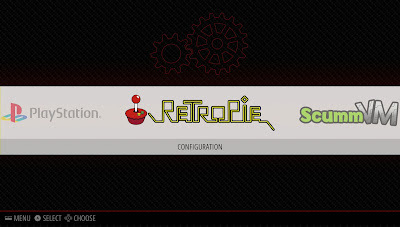 You can also access it by selecting RetroPie from the main EmulationStation screen and choosing the "Raspi-Config" option from the RetroPie menu. You control the SSH setting inside the "Interfacing Options" screen of raspi-config. This page explains the process in detail. You should also change the default password of your device if you ever plan to leave it connected to a network. If you're familiar with the Linux passwd command, you can use that. Otherwise you can use the Change User Password option in raspi-config to do this. I hope you found this guide helpful. Game on!